My first chapter challenge is a personal challenge this summer to whittle down my review pile. I read the first chapter of 5 books that have been sitting on my shelf a long time to determine if I'll keep them on my shelf or give them away. For this round of the challenge I chose books which came out last summer. In fact, at least 4 of the 5 are coming out in paperback very soon! One sentence summary: Eli and his family are stuck in an underground Compound after a nuclear incident. First sentences: T.S. Eliot was wrong. My world ended with a bang the minute we entered the Compound and that silver door closed behind us. Verdict: Just on the basis of what I've read, I wouldn't want to keep reading. However, many reviewers have said it picks up midway and gets really exciting. So I'll keep it around for now, but I'm in no rush. One sentence summary: Marika travels to Papua New Guinea to track down the truth about a war correspondent, Robert Lewis, who supposedly committed suicide. First sentences: The black waters of Elobi Creek show no sign of current. It is another dead waterway, Marika tells herself, one that will breed only mosquitos and crocodiles. Another waterway that somehow reflects - in the darkness of the water, in its stillness - all of her failings. First chapter review: Marika is presented as a very ususual sort of woman - one who found fame in war zones, doing the one thing she felt competent at, namely facing the unpleasant. And in Papua New Guinea she endures much discomfort on her months long search for Robert. Finally Tobo, a medicine man in a remote village, claims to know where Robert is. As the chapter ends, Marika is left behind by her guide but is still determined to continue her quest. The setting is exotic and Marika is so far interesting enough to want to keep following. Verdict: Keep in TBR. I'm intrigued and want to know if Marika ends up finding what she's looking for. One sentence summary: Theresa feels guilty about the suicide of James, a boy who had a crush on her, and writes in a diary for her therapist. First sentences: People die of love. I'm one of the few who'll admit it. That doesn't mean it isn't true. First chapter review: There are three short diary entries before the start of chapter 1 which introduce Theresa's fragile mental state and her not-so-nice therapist. Chapter 1 flashes back to before James' death and shows how Theresa took advantage of his crush on her. It's fine, but not particularly exciting. I'm assuming now that James kills himself because Theresa teases him too much, but I'm not hooked. Sorry. Verdict: Unless someone can convince me that the story gets compelling fast, I'm going to ditch this one. One sentence summary: One handed orphan Ren is picked up at the orphanage by someone claiming to be his long-lost brother who then takes him on a series of adventures that may hold the key to discovering his parentage. First sentence: The man arrived after morning prayers. First chapter review: I liked the scene presented here - a man coming to the orphanage to pick out a child, avoiding those too small to work and those too old to be pliable. At first, he picks Ren, until the priests reveal Ren's missing hand. It makes you yearn for Ren to be picked up quickly by the "brother" mentioned in the summary. Verdict: I'm hooked! Looking forward to making some time to finish this one. One sentence summary: To avoid having to move during her high school years, military kid Lucy decides to attend super-exclusive Van Pelt boarding school in Switzerland. First sentence: Imagine a school with endless gilded hallways that rival Versailles. First chapter review: I actually read 3 chapters (and could have read more - they are very, very short). The first chapter sets up why Lucy is attending such a fancy school. The second introduces her to the resident snobs (two of the three are princesses). The third has Lucy afraid her super-rich classmates will find out she's there on scholarship. It's kind of mindless, trashy fun. And it reminds me of my summer project between 8th and 9th grade. I wrote an outline about students at a fancy Swiss boarding school. I got out my baby name book and a stack of Seventeen magazines and created about 50 character profiles. I wonder if I still have it somewhere? Verdict: I'd give this one a few more chapters at least. Keep for now. Arriving at her dorm for her freshmen year of college, Cecily decides she’s just not ready, turns around, and goes home. What follows is a year off, bumming around at home and wondering if she’s a freak because she didn’t do what was expected of her like everyone else did. I was attracted to this novel because I did a gap year between high school and college, going on a year exchange program to Ecuador. Gap years are a great way to get to know yourself better and give yourself a break between the pressures of high school and the pressures of college. You can travel, volunteer, get a job to save up money for college, or take up any number of interesting activities. Cecily did nothing. NOTHING. That’s why I’m surprised I was not bored out of my skull reading about her year off. You see, even though Cecily lacks drive, she can banter with the best of them and the writing sparkles with subtle, sly humor. She banters with her father (resigned to Cecily’s inertia), her siblings (envious that she can get away with doing nothing as the baby of the family), her shrink, her career councilor, her best friend (increasing distant and slutty as her year at college progresses) and best of all with sort of crush but not really Mike (who should’ve had more scenes). The novel touches a lot on the expectations and motivations associated with the college years, and Mike’s story added another unconventional choice to the mix. Here’s a charming, well-liked young man who impresses everyone by being accepted to Harvard and then “throws it all away” by transferring to the University of Kansas mid-year to be with his girlfriend. Even though Mike mistakenly calls KU by the initials UK, I was still pleased to see KU’s battle cry “Rock Chalk Jayhawk” in a YA novel. Never thought I’d see the day. AN OFF YEAR comes out September 3rd in hardcover. Visit the author’s website. Even though I couldn't find anything about this upcoming release, the writing on the site is very funny and gives you a good idea of the kind of humor you get in the novel. A dystopia from the new Harlequin Teen line? I'm mega intrigued! INSIDE OUT is set for April 2010. 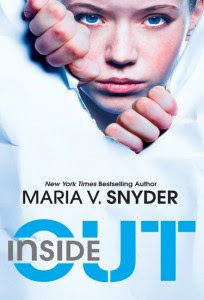 I haven't read any of Maria V. Snyder's books yet, but I always hear great things about them, so I really can't wait! Today's question from Wendi: When you click on the Local tab, do you see any information? Do you find the information you see useful? Have you added any information? If you don't already use the Local tab, is it something you would use more often if there were more events listed? Whenever I click on the local events tab, I get Boston events, which doesn't make a lot of sense to me since I've never even been to Boston (except for the airport on a layover). It always makes me want to visit though, since Boston seems to get a lot of great bookish events. Just now, I finally changed my location to Frankfurt and I see there are two events coming up where German authors read German books. Not events I'm likely to attend. Just for fun, I checked Wichita, KS as well, but no events are listed. I'd definitely use the feature more often if it were kept up-to-date and informative. 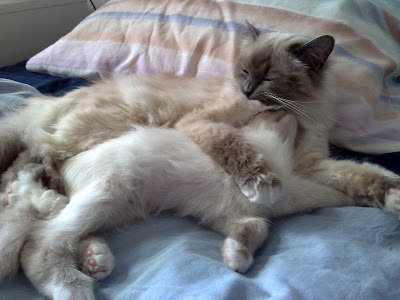 And now....time for naughty kittehs! Finn is in the habit of annoying Emmy about 90% of his waking hours. Emmy is in the habit of trying out new spots to hang out in an attempt to avoid him. 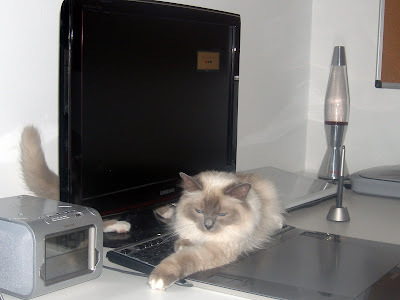 Here, Emmy decided to make herself comfortable on Daniel's computer keyboard. Notice her annoyed expression. It's because Finn is behind the monitor swiping at her swishing tail. They were removed from this spot shortly after this picture was taken and transferred back to their kitty palace where they are allowed to act out their destructive tendencies! Marie of The Boston Bibliophile just posted a follow-up to her Bloggers and Commercialism post where she lists the sources of her last 20 reviewed books. She did this to analyze the possible effect not accepting review copies might have on her blog. I found it very interesting for another reason too - it's what Julia Keller calls the "extra story" (how a book found its way to your hands) in her article in the Chicago Tribune yesterday. So, to both follow in Marie's "full-disclosure" footsteps and to provide you with some "extra stories", here is how I got the last 20 books I reviewed on Presenting Lenore. Catching Fire by Suzanne Collins - Flew all the way to NYC from Germany to attend BEA. Stood in line at 5:30 am to get a ticket to signing. Stood in signing line to get book signed. I would say this is a pretty typical breakdown, except that normally I'd have more books offered to me via query than books I requested personally. If I stopped accepting "freebies", I probably wouldn't feel the pressure to read as much as therefore I'd be more likely to post one review per week as opposed to three or four as I do now. The types of books I reviewed wouldn't change, since I only request or accept books I'd actually spend money on or check out from the library. Where did your last 20 reviewed books come from? Do you buy most of your books? Get them from the library? Or if you review mostly free copies, how would your blog change if you stopped accepting them? My guest reviewer Jen is back! I'm really excited to read this one too, especially because it was shortlisted for the 2008 Booker Prize and since I enjoyed Ghosh's THE GLASS PALACE so much. The first in a trilogy of novels, SEA OF POPPIES is an epic tale that revolves around a ship, the Ibis, which makes an unforgettable journey from India to the Mauritius Islands. The historical adventures touch upon colonial upheaval, the Opium Wars and a slave-free America. After all, which other span of time could allow a bankrupt Raja, widowed village woman, mulatto American freeman and a European orphan to all cross paths? Rarely have I read a book where I could relate to so many characters. I continue to ask myself how Amitav Ghosh made this kaleidoscope of individuals so sympathetic in such a despicable time (in terms of humanitarian relevance), such as the mid-nineteenth century. It’s a history lesson that reaches around the world, yet eerily parallels social issues of today. It is also a story which makes me grateful to be a woman today instead of back then. Sea of Poppies is destined for the silver screen, but I pity the day in which a single paragraph would be scrapped. (Subtitles would bring some clarity to the extremely difficult sailor lingo though.) The storytelling is masterful, allowing me to actually feel the rise and fall of the waves, feel the warmth of fires and blood and see the brilliant colours of life. SEA OF POPPIES is available in hardcover now, but comes out in paperback in the US on September 29th. I anxiously await the next saga of the trilogy. 1. Random.org helped me select the five winners of ARCs of THE MILES BETWEEN by Mary E. Pearson. They are MJ (instant winner), Trish, Zibilee, Amee, and Maya Ganesan. Congrats! Please send me an e-mail at lenoreva at hotmail dot com with your mailing address and I'll pass them on to the publisher. 2. So far three awesome authors have promised to send me bookmarks to distribute to my giveaway winners. Hopefully I'll hear from some more of you soon! 3. Daniel got his color proofs for IS YOUR BUFFALO READY FOR KINDERGARTEN? and they are looking amazing. I am so excited for this book, even if it is still a YEAR away from the pub date. I can't wait until I can finally show off the cover! 4. I don't normally do a write-up on awards I'm given anymore, but the ever-amusing Sadako made her own - The Evil Pink Unicorn Award - and it is remarkable enough to rival The Zombie Chicken Award, so I just had to express my thanks publicly. Here's what it's for: The Evil Pink Unicorn sees all, knows all, and spears all annoying teddy bears who get too close to her essential pinkness. She also commends good bloggers for being hilarious, bizarre, and just plain fun. Lucy Clark is 29, drug addled, and the daughter of a scientist responsible for developing a lethal strain of plague that threatens to destroy the human race. But who has time to worry about the plague when you’re dating a chicken executioner looking for a womb to host his dead wife’s frozen eggs, are still pining for your lost love who married your best friend, and have to take care of your 12 year old death-obsessed half sister, crack-addicted CEO mother, and Norwegian grandmother who charmingly spends her time charting people’s past lives? I requested this tragicomedy from the LibraryThing ER program because it promised to be bizarre and apocalyptic – an irresistible combination. Lucy narrates in first person, and most of the crazy comes from seeing the world through her unfocused eyes, though most of the other characters know how to bring it too. 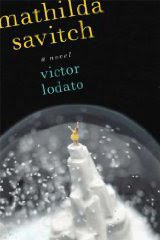 It’s a dense novel – reading it is akin to picking your way through the underbrush of a wild, virgin forest – and after having spent most of my literary escapades lately careening through vast expanses of open meadows complete with prancing ponies – it took quite a bit of patience to get through. But if you can summon up the patience, it is richly rewarding. Even with a zany, preposterous (one hopes at least) plot, at the sentence level the writing is breathtaking. And Debut Author Fiona Maazel juggles the trippy narrative arcs of the characters with ease, even giving past lives a chance to tell their own stories. And the end? Well, it’s not wrapped neatly in a bow, but it does fit the title. Because what is a last last chance anyway? Infinite chances really. Which is the perfect theme to tie all the disparate threads of this novel together – the addict trying to get clean, reincarnation, and even a slate-wiping mega disaster like a plague or the flood that killed everyone but Noah’s family on the ark. I've never featured a non-fiction book for WoW, but there's a first for everything. I saw this on Shelf Awareness yesterday (yes, I'm still reading it...but I don't request much anything anymore) and as an advertising copywriter with many crazy work stories of my own, I am really in the mood to read something like this. Othmer is a copywriter turned novelist (ahh...living the dream) and the book not only chronicles his personal experiences but also gives us an inside look at what's going on in advertising right now. Liar's Poker meets The Tipping Point meets Mad Men-a hilarious, personal, and sneakily profound chronicle of the past, present, and future of the advertising business. Adland is a book about advertising. Which is to say, it's a book about every issue and aspect of life on our morally conflicted, culturally challenged, ubiquitously branded planet. Adland releases on September 15th in hardcover. Oh, and P.S. - I'm very much looking forward to Mad Men's 3rd season, set to air starting early next month on AMC. Today's question from Wendi concerns the new Early Reviewer "won" books page on LibraryThing: Have you checked out your ER list? Is it accurate? Did you need to mark any books as not received? My list is accurate. I've won 11 books so far and reviewed 9 of them. 2 are quite recent, and I am reading one of them right now. I love this new feature - very helpful! Ok - smackdown time. The following video is pretty representive of the typical smackdown except that usually Finn strikes first. Enjoy. After her mother’s death, Aisling (aka Ash) is devastated. And she’s inconsolable when her remarried father dies, leaving the family with debts that Aisling’s new stepmother forces her to pay off with servitude – so much so that she prays the fairies will take her from the human world. That is until she meets Kaisa, the King’s huntress. Because Kaisa teaches her to hunt and ride - and most importantly to value life and love again. As my regular readers know by now, I am a huge fan of fairy tale retellings, especially when they follow the recognized formula but bring some sort of new twist to the story. In case you couldn’t tell, ASH is a retelling of Cinderella – with more dangerous fairies and a less over-the-top evil stepfamily than the Disney version. The tale Debut Author Malinda Lo spins is haunting and powerful enough on its own, but she also weaves in various fascinating dark faerie tales that characters tell each other. Much will probably be made of the fact that Aisling falls for a woman instead of the prince, but in the world of ASH’s narrative, it feels like the most natural thing in the world and no one even bats an eye. ASH comes out in hardcover on September 1st. Find out more at Malinda Lo’s website. Before BEA, I was not tempted in the least to get an eReader. One of my favorite things about reading is the physical comfort of curling up with a book, looking at its’ cover and turning the pages. And I love the conversations that arise from perusing bookshelves – both mine and others’. I could acknowledge that eReaders were probably a lot more convenient for traveling, but other than that, I didn’t think about them – at all. Then at BEA, two developments made me actually seriously consider getting an eReader. The first is the new NetGalley service, a way for book reviewers to download galleys (ARCs) in PDF form. The second is the eARC pilot program HarperCollins is trying out for their Fall 2009 and Spring 2010 titles (some of which I am DYING to read). Now, I still can’t really justify BUYING books for an eReader, but it seems like it could be a great format to read ARCs on. Based on my Internet research, it seems the amazon Kindle might be the better choice for people who buy eBooks, at least in the US. But for reading ARCs and other PDFs, the Sony eReader seems to have an advantage. What do you all think? Will we soon be seeing a shift to eARCs? And if you have an eReader preference or experience, please share! Two best friends fly down to Cancun for spring break with a third girl from their high school, hoping for a few days of fun in the sun, far away from the sleet, sameness and rules of Illinois. But a couple of bad decisions later, they are facing down their worst nightmare. I can imagine the genesis of this novel thusly: Author goes to Mexico’s Yucatan to visit the Mayan ruins and is annoyed by crass commercialization and mindless, drunken hordes of sun-seeking partygoers. She then decides to write a novel that will highlight the importance of respecting local culture and the dangers of a) spring break and b) trusting strangers. And the novel does work well on that level. There’s a definite sense of foreboding that grows stronger as you read. And the scenes at the Mayan temple are riveting, informative and poetic. The structure is odd. Chapters alternate between Anne’s very plain character telling us in first person, past tense, unadorned prose what went down on the fateful trip and chapters about Michelle’s experiences told in third person omniscient, present tense in hazy, magical realism infused passages. All this leads to one of the most bizarre endings I’ve read in awhile. If you’re looking for something different, this is a quick yet memorable read that will have you thinking twice before you accept a ride from a stranger in the middle of nowhere. Friday Fabulous is back - and I have a lot to talk about today, so let's jump right in! 1. Book Blogger Appreciation Week is back for its' second year. Last year, Presenting Lenore was a finalist for Best YA Blog! Want to make sure your favorite book blogs make the list? Just head over to the official BBAW site and submit your nominations in dozens of fun categories. 2. I'm kind of surprised by this since I don't post that many reviews there anymore, but amazon invited me to be a part of their Vine program! I haven't gotten offered any free video cameras yet, but I should be getting LABOR DAY by Joyce Maynard and SWIMMING by Nicola Keegan (hey if Judy Blume said it was good...) soon. 3. You know, these days, most airline travel news is BAD - free baggage allowances are being cut, you increasingly have to pay for on-board food, and Ryanair even talked about charging to use the toilets - so I was very pleasantly surprised to learn that Delta had given me 10,000 free miles (that qualify for medallion status) as part of a campaign to increase loyalty among their elite status customers. With all the traveling I'm doing this year, I might even earn Gold status this year. Thanks Delta! 4. Speaking of Delta, I was able to upgrade the Atlanta-Frankfurt leg of my August/Sept trip to the states to business class using miles. That's always the worst leg for me, so I'm thrilled! 5. And speaking of my trip to the states, I'll be having a bunch of book contests in August since I'll be able to send them out cheaply once I arrive. Which is a perfect opportunity for all you authors out there! I can send your bookmarks and promotional swag out with my prize books, and if you take advantage of this window, you'll be able to send to my stateside address - YAY! (I'll be back to the states again at Christmas if you need more time). Just contact me at lenoreva at hotmail dot com to get my address. So tell me, what are YOU excited about this week? Most of my WoW picks come from me being really exited about a premise, but this one caught my eye because the character of Mathilda sounds so interesting. I've read a couple of early reviews that claim she has a very memorable voice and makes a ton of keen observations. Will she enter my favorite character hall of fame? This one comes out on September 15th from FSG. And I leave you with a question: what are your favorite character driven novels? 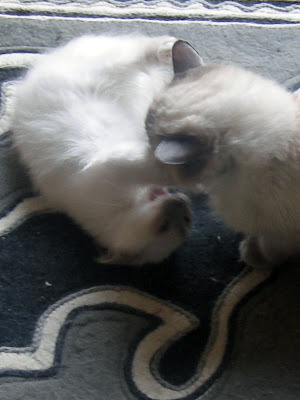 Today Wendi asks about tagging: Do you tag? If so, do you tag for your own purposes (make lists, sort, clouds, etc)? Do you tag to help classify a book (historical fiction, self-help, sci-fi, mystery, etc)? What is the most helpful thing for you about tagging? I tag my books on LibraryThing. First, I tag by genre. Then I add other applicable tags such as ARC, signed, favorite, or TBR. I also tagged all the 1001 Books to Read before you Die that I have read. I do think that the tagging has helped me snag my 11 Early Reviewer books, but who knows? I've also started to add labels to my blog posts. I am labelling book reviews by publisher. I also note whether the book fulfills any challenge requirements (i.e. ARC Challenge, LT Author Challenge, etc). I've recently added a Debut category and am thinking of adding a year published label. And in the evening, Emmy likes to hang out in this Longaberger magazine basket (a gift from my Aunt Linda) and Finn likes to attack her. 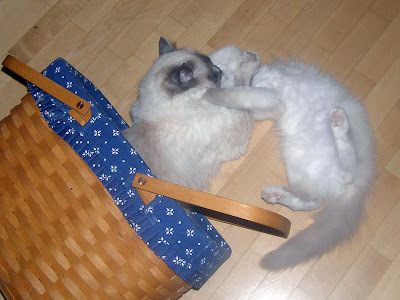 She'll take it for a few minutes, and launch out of the basket and pin him down. Hilar! Last weekend I was in Barcelona for a wedding. We had a delicious dinner of Paella one evening down in Barceloneta, the former fishing part of town, and the next night we danced under the stars at the beach. Despite the heat, I made the rounds of the tourist attractions - La Rambla to check out the colorful mimes, 3 of Gaudi's masterpieces (La Sagrada Familia - looking no more finished than when I saw it 13 years ago, La Pedrera, and Casa Batllo), and the Barcelona History Museum where you can see the ruins of the Roman city of Barcino. That last one I would have never known about if it hadn't been for reading Beth Kephart's NOTHING BUT GHOSTS a week prior. I e-mailed Beth asking if the ruins she described really existed, and she confirmed they did. Then it was just a matter of tracking them down. I loved visiting this site. You go underground where is the air is cool and the light is really an orange/yellow as Beth describes. 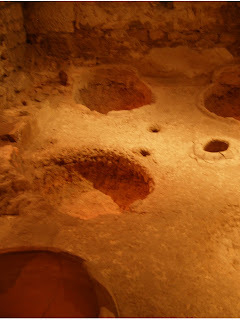 You see remnants of Roman industry - a laundry (where Romans used urine as a detergent - ew! ), a dye factory (urine also used), a fish sauce factory (urine not used, thankfully), and a winery (also no urine, hopefully) - as well as a residence and a church. And to accompany the following excerpt from NOTHING BUT GHOSTS (used by permission), I have a picture of the make-up jars Beth describes. “You want to hear the weird thing about Barcelona?” I ask him. Now Danny pushes back against the tree, fits his arms across his chest, and waits for me to explain about the ghosts, which is one of the things that I appreciate about Danny. He’s not the kind who’s always looking for ways to push himself into the talk, not all look at me, not my story’s better than yours. He has patience, and I like that about him, and maybe it’s okay right now, because it’s just the two of us, and because he asked, to tell him something about the day my mom and I climbed down beneath the streets of Barcelona, to find the other Barcelona, the one the Romans built 2000 years ago, and the Iberians before that. The one I wrote about. That Barcelona is under glass, inside the thickest walls I’ve ever seen, and cool when up above it’s broiling hot. Everything down there in the ghost world is lit up orange and yellow with big glow lights that make it seem like day is fighting with night. Fine lines. They have fourth century B.C. goddess heads down there. Iron swords. Sewing needles made out of bone. Beds and candles, oil lamps, hinges and locks and keys, and places in the walls where little god statues stood, beckoning to the souls of the dead. 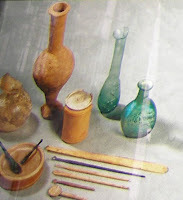 What my mother loved, what she couldn’t stop staring at, were the rooms they called the cubicula, tiny private rooms—a bed and a chest and a chair, and the most beautiful, most delicate containers for make-up—mortars for mashing colors and spatulas for mixing and carved combs and flasks made out of glass. She nodded. “Yes.” Her eyes were so wide and her face was so pale and right then she was just as much a ghost as they were. If my mother could have walked through glass, she’d have walked straight through to the other side, to one of those little rooms, and sat right down on one of those little chairs and I would have seen, I swear to God, the Roman women talking to my mother, beauty to beauty, infinitely beautiful, forever. She stood staring at the cubicula for such a long, long time. After that she found a bench. “Honey,” she said, “remember this. Remember how alive we are now.” I do remember, and that’s what I mean: In Barcelona there are ghosts. Isn't that beautiful? And actually getting to visit myself gave the whole passage so much more meaning. Ok, now a couple more views of Barcelona. 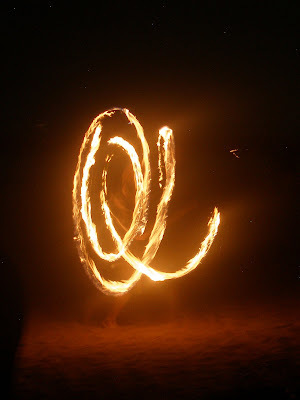 Here's a photo of a fire baton twirler on the beach (I used a slow shutter speed and no flash). 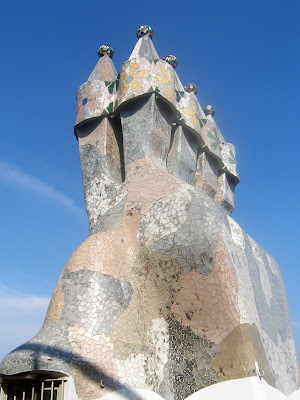 A photo of a very colorful chimney from Gaudi's Casa Batllo - well worth the 16.50 Euro entrance fee. 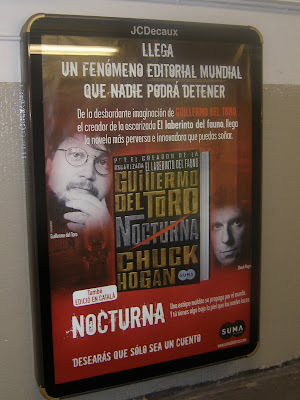 Lastly, an ad for THE STRAIN that I saw all over in the subway - looks like it is getting a big push in Spain. You all took great delight in raiding my bookshelf and caressing all my ARCs. I asked which book you were most looking forward to...no surprise that CATCHING FIRE won by a landslide. But that was NOT one of the books I was offering. My copy is signed, and I'm keeping it! ASH, HUSH HUSH, and BEAUTIFUL CREATURES proved to be the most popular, garnering at least 25 votes each, but every book on my list of 21 was mentioned at least once. But you want a winner. So according to Random.org the winner is...Tarie of Into the Wardrobe! She said she wants me to read ASH by Malinda Lo and AN OFF YEAR by Claire Zulkey. So...I'm going to read these by the end of the month and then send them off to you Tarie. Assuming you send me your mailing address to lenoreva at hotmail dot com. I had another contest for my copy of Geektastic. The winner there is...Nymeth of things mean a lot! Her brilliant caption? "Hey look, it's the girl with three fingers growing out of her neck again! Cthulicious." Funny and geeky! I did crop that picture of David Levithan stalking me rather strangly, I'll admit. And going WAY back to the very end of May, I promised some readers I'd send them my blogger trading card from BEA. Envelopes are already addressed to Liyana, Thao, Celia, Melissa, and Beth Kephart but have not yet gone out because I have been too busy to make it to the post office. I still need addresses for the following: PJ Hoover, polo.pony, Heather Zundel, Jenna, Melanie, Red Lady Bonnie and dissectingperfection. Please forgive me if you already sent it. My inbox is a mess and I can no longer find it. Aren't they snazzy? In case you can't read the names, that's Alea (Pop Culture Junkie), My Friend Amy, Molly (My Cozy Book Nook), Natasha (Maw Books), Candance (Beth Fish Reads), Jenn's Bookshelf, Bethanne (Book Maven), Dawn (She's Too Fond of Books), Julie (Booking Mama), and Gayle (Every Day I Write the Book). WoW topic: How about those Tenners?! My wishlist for 2010. I love debut novels – in fact at least a third of the books I’ve read so far this year are by first time novelists. So looking ahead to 2010, I am excited about quite a few new YA and MG novels that I discovered on the Tenners website. I've also been hearing a lot of chatter about how awesome the Tenner authors are - attending chats with book bloggers (which are unfortunately scheduled for when I am sound asleep), coming up with awesome contests and marketing ideas, and just generally being available and cool. PALACE BEAUTIFUL by Sarah DeFord Williams. Feb 2010. This is about a modern day girl who finds a diary of a girl living during the 1918 Influenza epidemic which has always fascinated me. 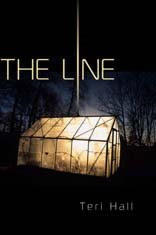 THE LINE by Teri Hall. March 2010. All I had to hear to put this on my wishlist were two little words - dystopian fiction. TOTALLY SWEET NINJA DEATH SQUAD by Emily Horner. Fall 2010. C’mon – who can resist that totally sweet title? THE RED UMBRELLA by Christina Diaz Gonzalez. May 12, 2010. This has to do with Operation Pedro Pan - the largest exodus of unaccompanied minors in the Western Hemisphere (from Cuba to the US). Read summary. MY WAY OR THE HIGHWAY by Trish Doller. Sometime 2010. I love cross country adventures. Oh and Trish is on Team Llama and wrote a whole blog post about tapirs, so her book MUST be cool. Right? THE SNOWBALL EFFECT by Holly Nicole Hoxter. March 1, 2010. This looks like a fresh spin on the whole dealing with death genre. 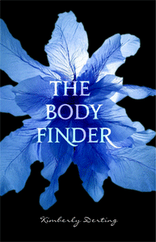 THE BODY FINDER by Kimberly Derting. March 16, 2010. This was pushed back so I’ve been lusting after it forever it seems. I’m so in the mood for a paranormal mystery! WHISPER by Phoebe Kitanidis. April 14, 2010. 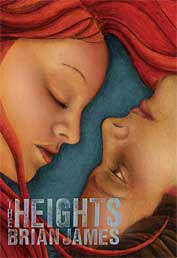 Great premise: A girl has the power to read thoughts and must save her sister. BRIGHTLY WOVEN by Alexandra Bracken. March 23, 2010. A girl is given as a reward to a wizard for ending the drought in her town. Read summary. THE RISE OF RENEGADE X by Chelsea Campbell. May 11, 2010. Another super cool premise: Teen supervillain finds out his father is really a superhero. Read summary. LOSING FAITH by Denise Jaden. Oct 2010. There’s a cult involved. Oh yeah. 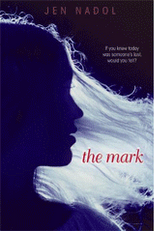 THE MARK by Jen Nadol. January 2010. Girl is able to see when people are about to die. Should she tell them? THE BABY CODE by Caragh O’Brien. Sometime 2010. Another dystopia! How about you? Which ones of these intrigue you? Or did other Tenners catch your eye? Do you like to read debut authors? Or do you prefer to stick to the tried and true? 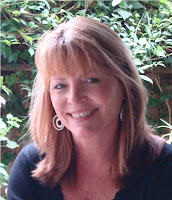 Today's question from Wendi: How do you feel about social networking sites? Do you have any you like more than others? Are there any you don't like? Do you have any that you don't associate with your blogs and/or book reviewing? If you could only belong to one of these sites, which one would it be and why? I generally like the idea of social networking sites. The first one I ever joined (with the exception of music related message boards way back when) was http://www.virtualtourist.com/ which is a site for travel junkies to post their travel tips and photos. I met a ton of friends through the site and ended up discovering a lot of travel destinations that I wouldn't have considered otherwise. I am not so active there anymore, but all my tips and photos from my active days are still up. The next one I joined was OpenBC, now called http://www.xing.com/. It is a business networking site and I've gotten quite a few jobs over this platform. No talk of books here. At some point I joined Facebook which has been a lot of fun. I usually don't do status updates there (or do much of anything really) but it has been an amazing way to get back in contact with friends I thought were lost forever. Then I found the book community sites - LibraryThing, Shelfari, and GoodReads. I don't use Shelfari at all, but I do keep up my LT bookshelf current and spend a fair amount of time on GoodReads (which I use pretty much exclusively for YA titles). I do have a MySpace page, but I really don't like the layout or interface, so I don't spend much time there. I know this is an overdose of Emmy/Finn cuddling cuteness, but Daniel sent me this picture while I was in Barcelona this weekend and I CANNOT STOP LOOKING AT IT! Happy July 4th! 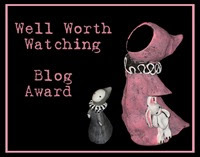 To celebrate, I bring you another installment of the Well Watching Blog Award Profile, this month with a fabulous blogger you need to be reading: Nicole of Linus's Blanket. Now, I'd been to Nicole's blog before BEA and enjoyed it, but after meeting Nicole and getting to hang out with her (though not enough, never enough), I became a rabid fan of her, her taste in restaurants and her blog. Expect the unexpected. Eclectic book reviews and disorganized thoughts. My blog is becoming pretty varied as far as reviews go. I think it's pretty common among book bloggers that we started blogging for one reason and then happen to mention a book and it takes on a life of it's own. I think since I didn't start it for bookish reasons or to write about a book topics that it's pretty eclectic, as is my reading. I love to read non-fiction and literary fiction and as I have been going along I have found that I read a lot of historical fiction as well. But I also love to go back and explore the roots of my reading and the books that I loved growing up. I finally had to make sections for my fiction and non-fiction, to keep it organized and help people find what they might specifically be looking for; and I'm about to add a section on YA/Children as well. I read Sweethearts by Sara Zarr, and that one stayed with me for a few days. It was a good book. I know quite a few people have been fooled by the cover, but I've been trying to warn that it's not a light read. Neither is Hate List, by Jennifer Brown. But I guess the title makes that pretty obvious. I just finished reading it and I was impressed. The Turnaround, by George Pelecanos and Either You're in or You're in The Way, by Logan and Noah Miller were a few others that I enjoyed last month. As for what's coming up, I am looking forward to Impossible by Nancy Werlin. I have no clear idea about what it's about- some kind of fantasy suspense- but I'm kind of glad about that. I'm looking forward to being totally surprised and having the book unfold. I had been looking forward to reading The Secret Diaries of Charlotte Bronte, Syrie James. It's out this month and I just started on it and I love it. It has such authentic voice and I am loving getting to see how the Bronte sisters interacted with each other and the secret romances in Charlotte's life. I was skimming through a book called Spent and it inspired me to write a post on Book Addiction, which I think is very real, and it was a lot of fun to compare book weaknesses with other readers. I love asking questions; recently we had a conversation about disclaimers- and if bloggers should/do put them in their reviews and my latest giveaway I am asking people to list 3 things they hated about high school. It's fun to see the answers and to now I wasn't the only one who didn't like gym class and waking up early. As far as reviews go, it's the children's books I 've read that have really gotten me excited because they were so much fin to read when I was a child and equally fun as an adult. The Wednesday Witch and The Boxcar Children are two of my favorite books of all time. Let's not think about what that says about me, ok? That's such a tough question because I am constantly reading great stuff. I feel like I need to take notes on my blog reading. Jackie from Farm Lane Books just in general has a blog that I really enjoy reading. I love the questions that she asks in her posts. Last month she asked the people who don't blog to give their book suggestions. You know I was all over that. Like I need any more book recommendations. J.T. over at Bibliofreak has a great review up of The Book Thief. I had no idea that it started off as an adult book in Australia and was marketed as a YA Book here. That's one I still have to read. Nymeth at Things Mean A Lot review a book called Virgin: The Untouched History and she had a lot of interesting information and commentary based on other research she did and books that she had read. Like I said, so much good stuff out there. Ironically, I'd probably read more! Here's what went on this April, May and June. I passed the 100,000 page views milestone as well as 500 posts overall this quarter. 2 of my contests had nearly 400 entries each. I also blogged nearly every day, only missing a couple of Saturdays during that whole period.